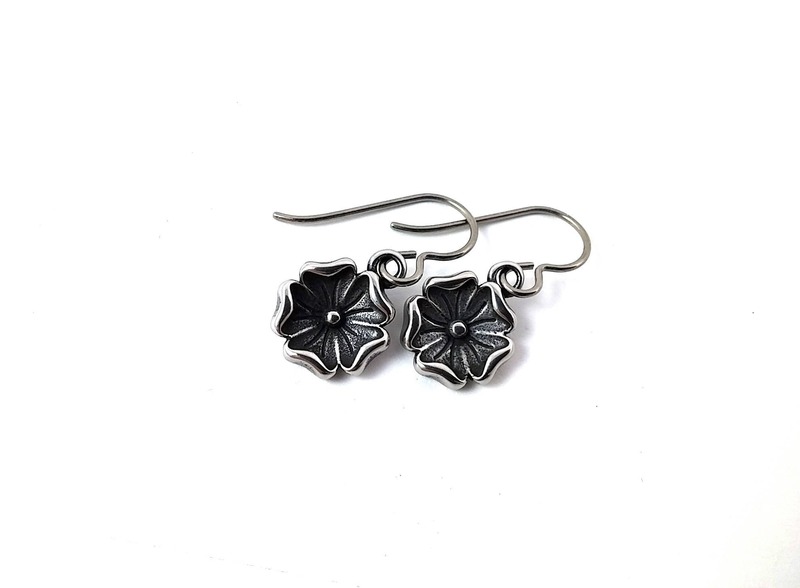 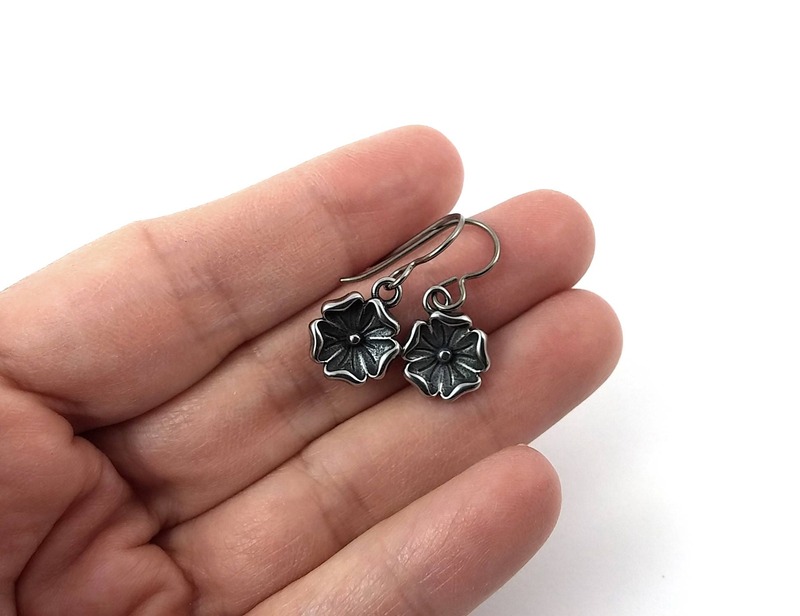 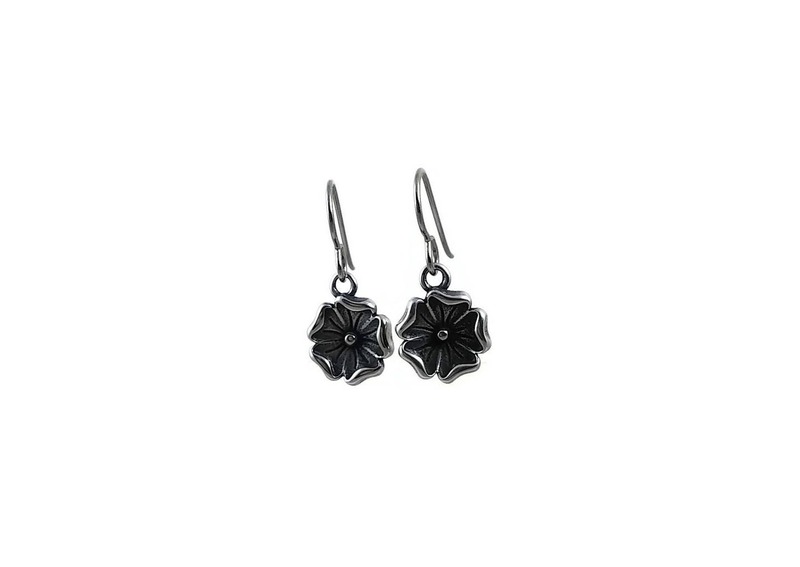 Small flower dangle earrings. 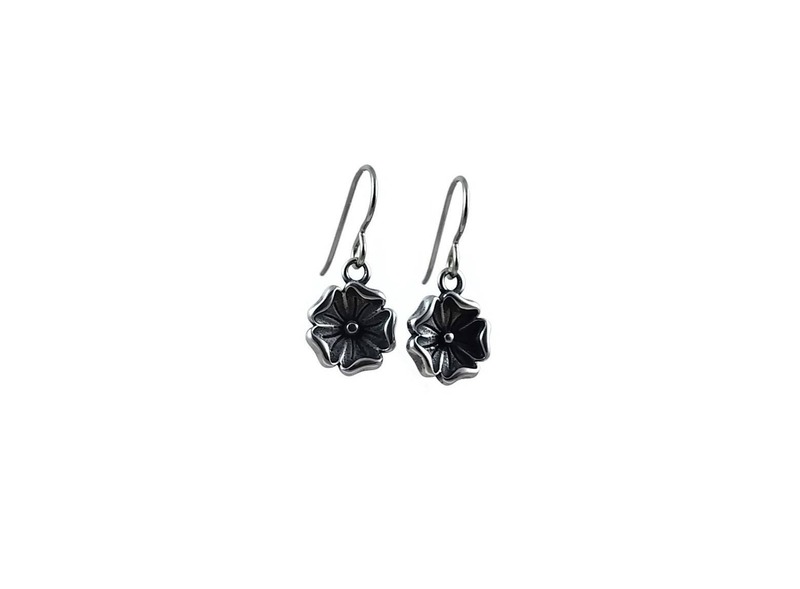 Hypoallergenic pure titanium and stainless steel. 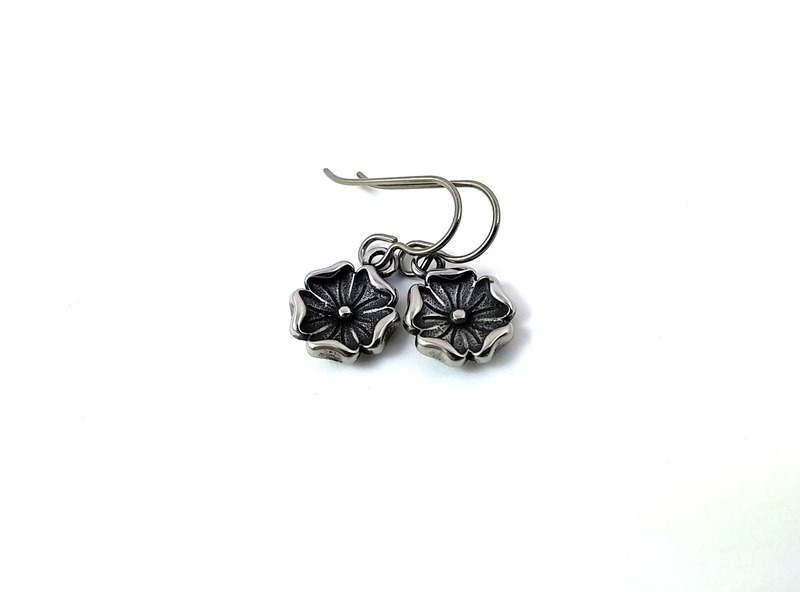 Stainless steel pendants measuring 11x15mm.